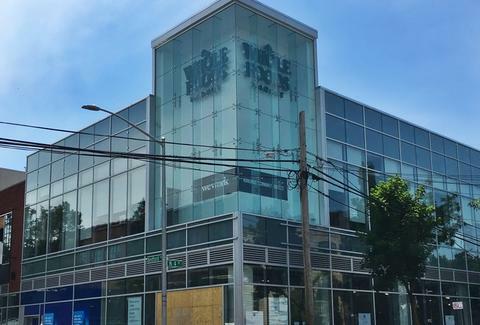 In what seems like a move that definitely should have already happened by now, Whole Foods has officially invaded Williamsburg with a 51,000sqft space at 289 Bedford Ave, fulfilling the neighborhood’s destiny of being the bougie suburb we always knew it had the potential to be. Still, this is Williamsburg, and Whole Foods has spared no expense in making this the most Williamsburg Whole Foods there could possibly be. 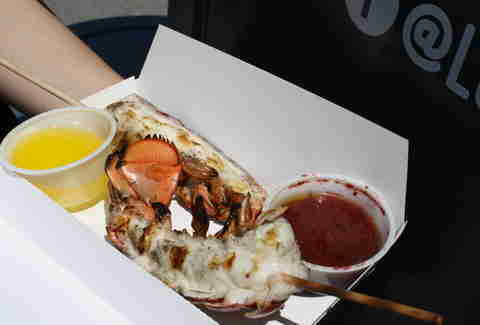 We got our hands on some details about the Williamsburg-exclusive offerings, from lobster-on-a-stick that you can eat while you push your cart through the all-natural salad dressing aisle to not-so-subtle references to the neighborhood’s pre-gentrification charm. Don’t forget your reusable shopping bags! Pastrami was always intended to be paired with wine on tap, right? In-store restaurant N4 will be a two-part doozy: an all-natural take on a Jewish deli (which, like every other trendy modern Jewish deli, won’t be kosher, but Jewish-style), plus exclusive drafts from Red Hook Winery on tap, and craft cocktails that use only local liquors. If you were planning on enjoying your corned beef with a liquor made outside of the five boroughs, you can excuse yourself to the nearest peasant cocktail bar. Also, if you’re not a meat-eating savage -- do you even live in Williamsburg?! -- you can huddle with fellow vegans at Layered (get it?! ), an in-store vendor slinging out vegan yogurt parfaits made with Anita’s Coconut Yogurt and topped with your choice of cruelty-free, paleo toppings. There’s at least seven CrossFit boxes in walking distance of the Williamsburg Whole Foods, so you can take your pick of pre- and post-grocery shopping workouts. You’re probably shopping for pre-washed, pre-chopped lettuce, because let’s face it, you’re not René Redzepi, but if the spirit of foraging ignites in your soul deep in the organic tomato area, you’re in luck. Created to engage the millennial shopper, The Baldor Forager is a digital kiosk where customers can use a touchscreen to “forage” for 60 specialty produce like white strawberries, starfruit, Chinese long beans, ghost chilies, and more -- just like searching for ingredients in the fields of Scandinavia! Shopping foragers will pre-order unique ingredients based on high-res images of the fruits and vegetables and pick them up in-store on Mondays, Wednesdays, and Fridays. Only in Williamsburg can you pre-order fresh wasabi root for your biweekly sustainable sushi potluck supplemented with CSA ingredients. Yay! Say goodbye to your favorite pre-made grab-and-go bodega Chipwich or Choco Taco, because Whole Foods Williamsburg is upping the lowbrow grocery checkout ice cream experience with an artisanal ice cream counter. 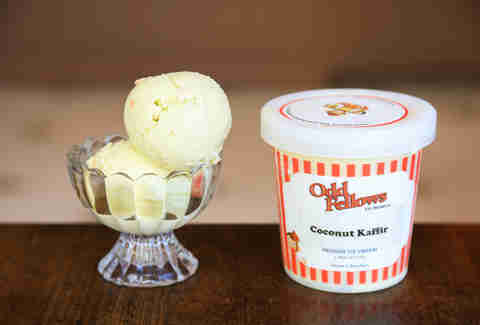 Local ice cream shop OddFellows Ice Cream Co. will serve its small-batch seasonal ice creams in-store with flavors including Caramel Chocolate Crisp, Oatmeal Cookie Dough, Banana Puddin’, Burnt Marshmallow, Dark Chocolate Chunk, Coconut Kaffir Lime, and other flavors you’ll never find in a Klondike bar. Really, why buy a $2 ice cream sandwich when you can have something at least three times the price made right here in Brooklyn? The hottest food trend of 2016 has come all the way from Hawaii and Midtown and Chinatown and the Lower East Side and Chicago and Los Angeles to the halls of Whole Foods Williamsburg. 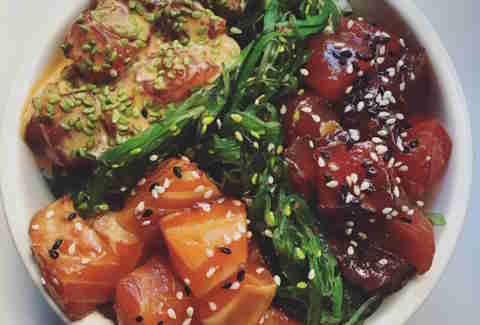 Smorgasburg vendor East Coast Poke will be serving fresh poke bowls using sustainably sourced seafood. Get your Instagram captions ready! Melissa is a writer based in NYC who once really enjoyed shopping at a Whole Foods in northern New Jersey. Follow her at @melissabethk.